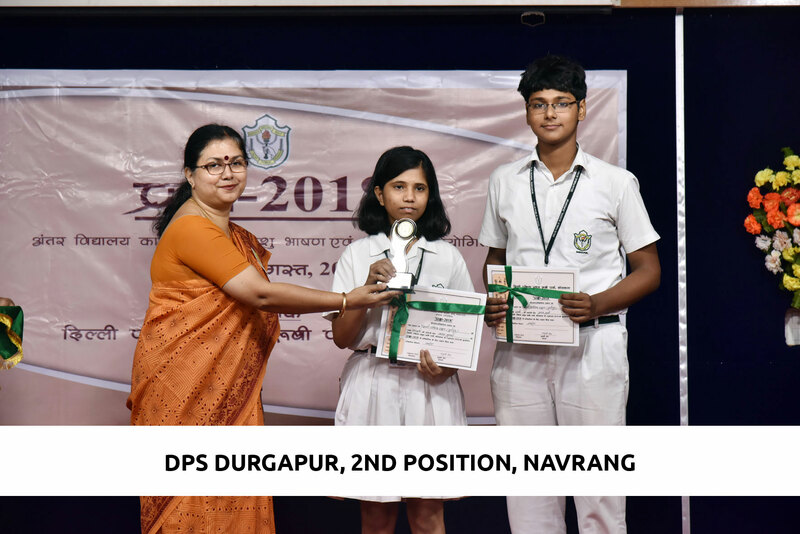 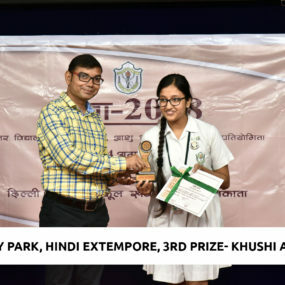 On August 4, 2018, the Hindi Department of Delhi Public School Ruby Park hosted the Inter School Hindi Fest, Pragya. 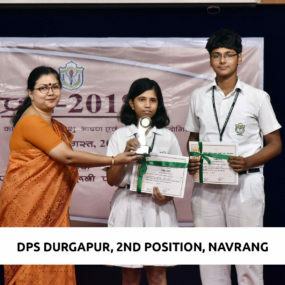 Seventeen schools from all over Kolkata participated in the different events, to make the fest a success. 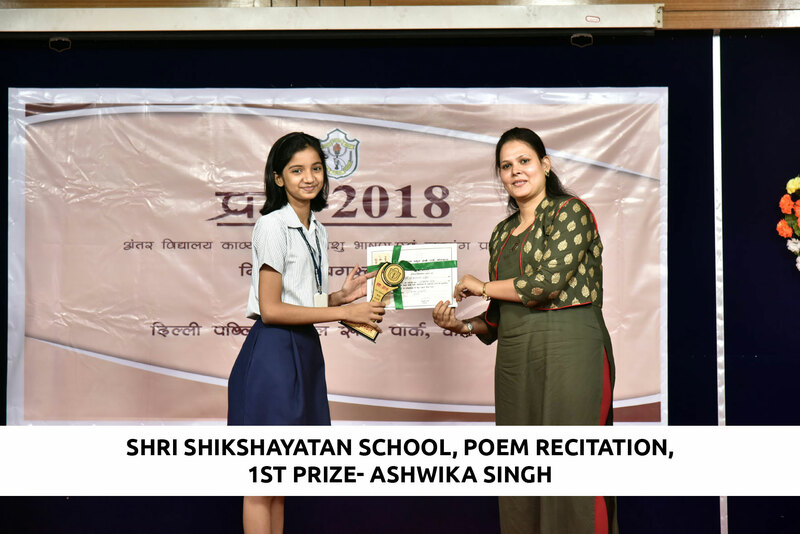 The event comprised, Extempore, Recitation and Navrang. 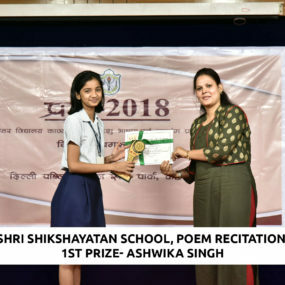 The four judges who graced the occasion were Mr Hrishikesh Rai, an eminent writer and critic, Mr. Chandra Prakash, Regional Manager, Ms. Shradhhanjali Singh, a writer and Mr Anand Gupta, an eminent poet and educator. 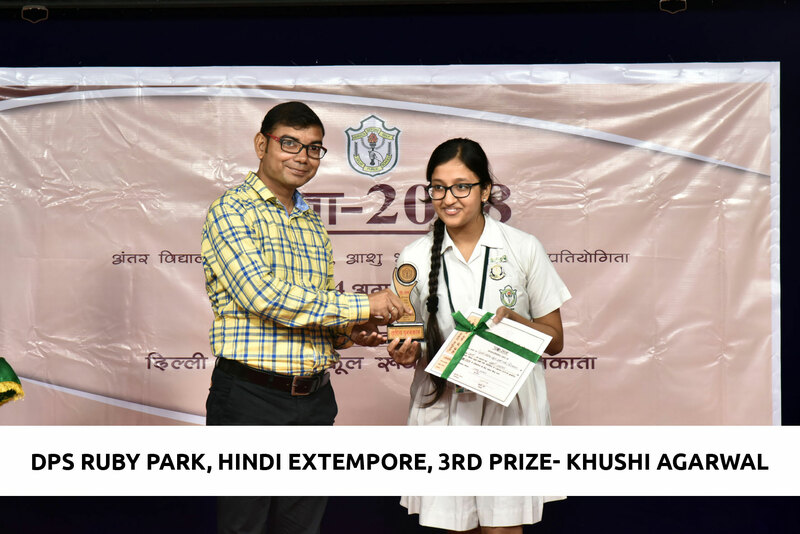 The Winner’s trophy was bagged by Delhi Public School, Ruby Park, Kolkata while Army Public School, Barackpore bagged the Runner’s Up trophy.